2 2 m2 93.42 sq.m. Total area : 93.42 sq.m. 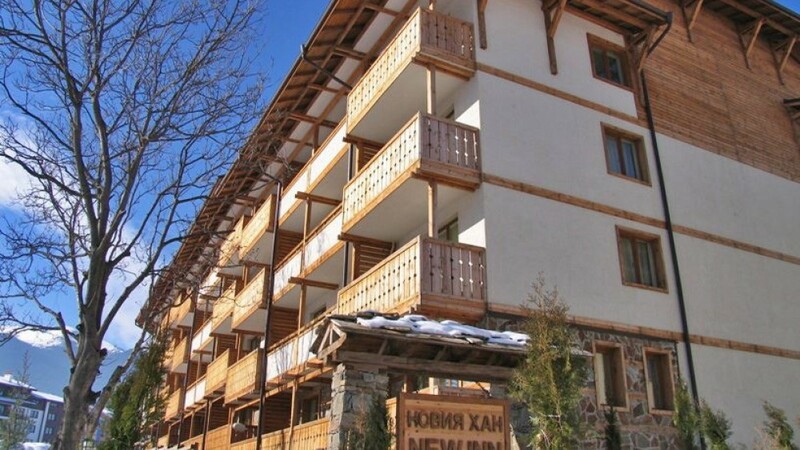 Spacious two-bedroom apartment with fireplace for sale in New Inn Residential Complex, Bansko. The building is located only 500 meters from the Gondola lift, in a quiet and peaceful area. The residential complex is well maintained and with a low maintenance fee - 5 euro per sq.m. The apartment consists of entrance hall, two bedrooms, living room, kitchen and bathroom, second toilet and closet. The apartment is facing south-north. 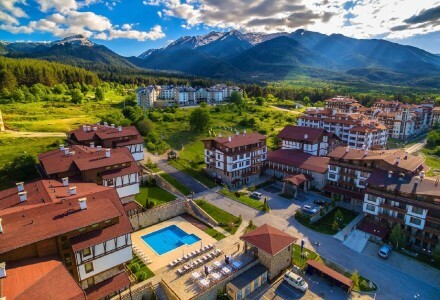 From the terrace there is an incredible view of the Pirin mountain and the ski slopes above Bansko. The apartment is suitable for renting as well as for permanent residence. : 2 : 2 m2 : 101,60 sq.m. : 2 : 2 m2 : 102.38 sq.m. : 2 : 2 m2 : 93.42 sq.m.